Print then tape these simple little labels on a box to help you organize your decluttering. 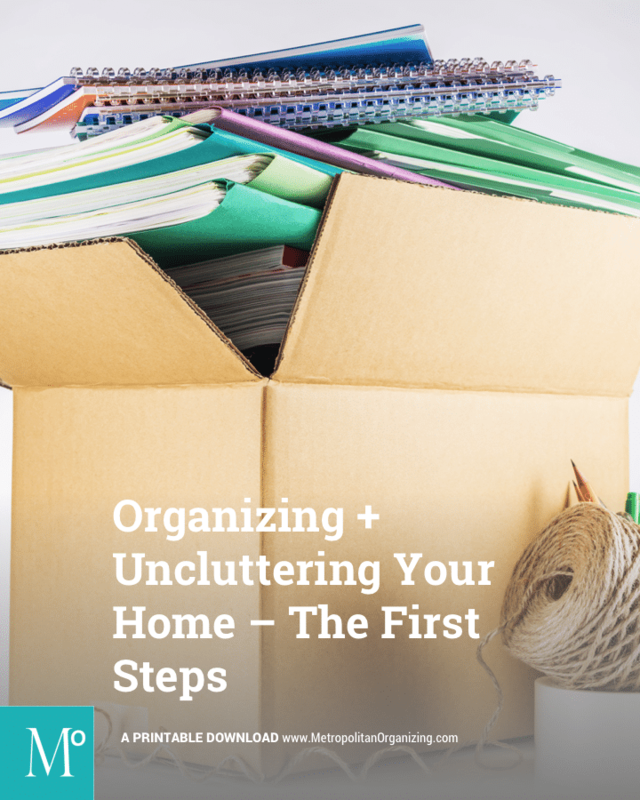 It takes time to organize and declutter your home. But neither are difficult nor complicated. Usually, just getting started is the hard part. As you unclutter, work through one room at a time. Set up a decluttering station using a few baskets, boxes or other containers. 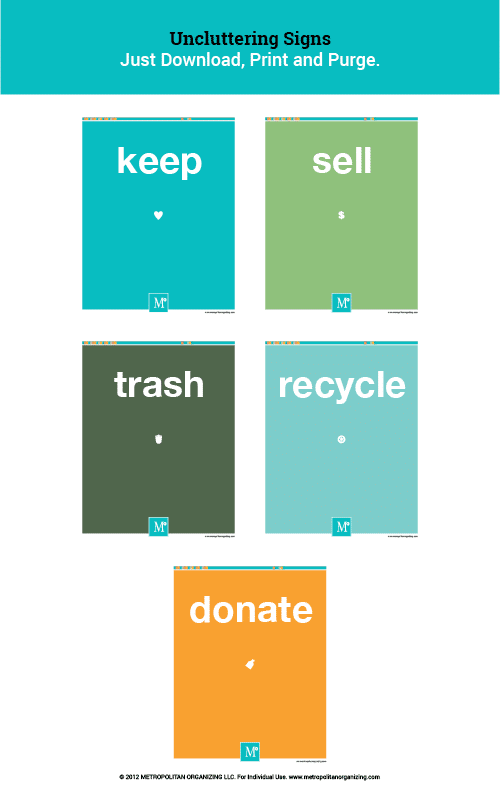 Label each container clearly with the final action you will take: Keep, Trash, Sell, or Donate. Keep is only for the items you love, use or need. Trash is for broken or worthless items that cannot be recycled. Sell is for consignment, garage sale, or online classified-worthy items. Donate is for clean, working items of value that can be given to a local charity. Print and drop into page protectors. Tape or clip to boxes when decluttering. If it’s not working, is it worth fixing? Is it worth the space it occupies? Could I/we find it on the internet? Could I/we easily replace it or borrow it? Notebook + Pen or Laptop to create an itemized list of things you’re donating for tax purposes. Timer to help you stay on task + remain focused. Helping people in and around Raleigh, NC organize their homes and small offices is what we do.